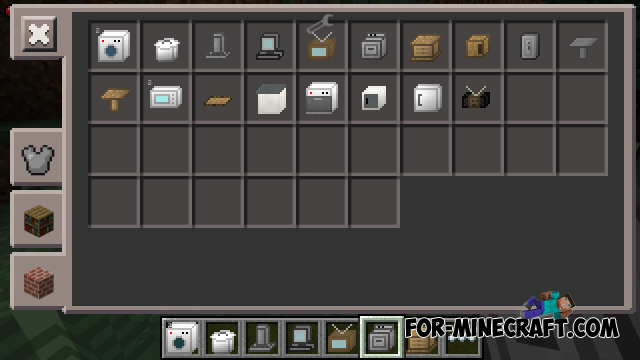 Furniture Mod - This modification will add to your world a little bit of home appliances. 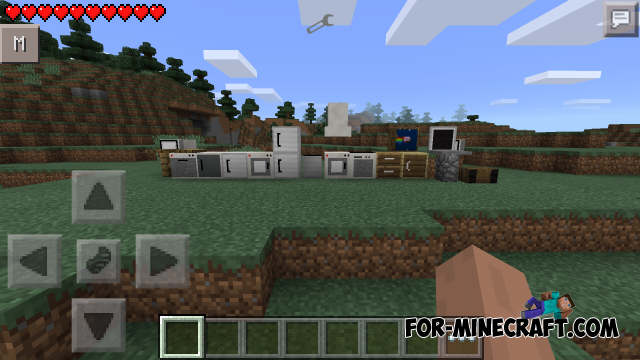 Now the world of Minecraft Pocket Edition will be even more realistic, you will have "real" home appliances that will make your home more comfortable and familiar that you used to see him every day with lots of different devices (refrigerator, washing machine, computer (laptop) and other. And a lot of different features (things) that will add mod, you have to see them in the game. To get all these items, use the TMI mod (Too Many Items), With its help you can give yourself any object that is in the game. HOW CAN I DOWNLOAD THIS MOD ????????????????????? ?